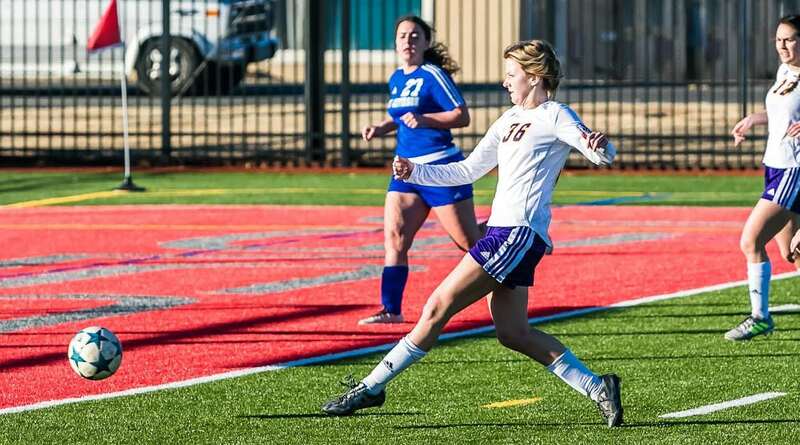 Bossier Parish players swept the individual honors on the All-District 1, Division II girls soccer team. Aubrey Burkhardt of district champion Parkway was named the Overall MVP. Benton senior Hailey McGhee was named Offensive MVP. Parkway senior Ashlyn Hanna was named Defensive MVP. Parkway scored 28 goals and had 11 assists, according to the Northwest Louisiana High School Soccer website. McGhee, who was named the Overall MVP in 2017, led Northwest Louisiana in goals scored with 52. Hanna helped Parkway hold its six district opponents to just one goal. Parkway’s Che Walcott, who guided the Lady Panthers to the Division II quarterfinals, was named Coach of the Year. Parkway senior defender Kayce Estes also made the first team. Benton’s other first-team selections were senior forward Breanna Bundy, junior outside mid/wing Georgia Carroway and sophomore defender Kayla Kligenmsith. Bundy scored 24 goals and had eight assists. Carroway had 10 goals and eight assists. Haughton senior center midfielder Meghan Schaffer, who scored 10 goals, also made the first team. Parkway’s second-team selections were freshman forward Peyton Pipes, sophomore outside mid/wing J.J. Craion and sophomore center/mid Lisette Tunek. Benton’s second-team selections were sophomore center/mid Baylee Cortez and sophomore defender Bailey Coleman. Haughton junior outside mid/wing Shelby Watson, senior defender Lauren Brooks and senior goalie Tori Lunsford made the second team. Parkway’s honorable mention selections were Craion (forward), Faith Ingles, Heather Landry, Lauren Sepeda, Michelle Elias, Maya Cosic, Anyelit Falcon, Anna Grace Hale, Kendall Roshto and Madison Ersoff. Benton’s were Annalee Ward, Sarah Varnado, Ashton Young, Ashlynn Stewart and Merritt Lauterbach. Haughton’s were Madeline Milton, Madison Waldron, Abbygale Currence and Kamryn King. Robby, Baylee is locally famous!